Sajnu Baiga is a student residing in Kawardha Nevratola. After the sudden death of his mother, his father married again and his aunt took him to her home. Sanju started to live with her and he started studying there. 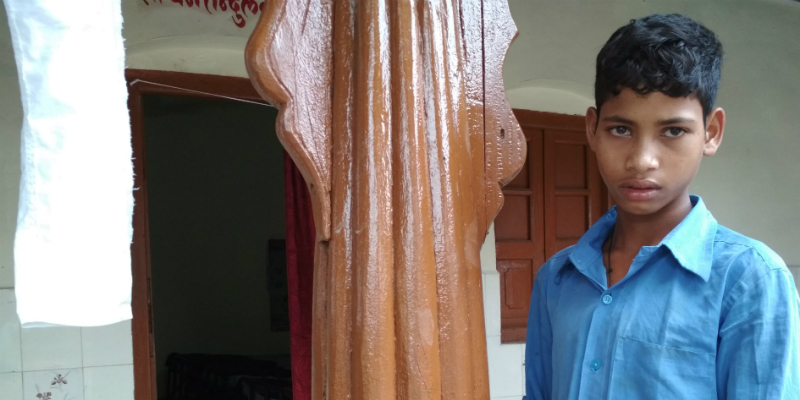 Inspired by his teacher Motiram Patil, Sanju has now taken admission in the hostel built for the Baiga tribe students. Now he is staying in the hostel and diligently studying. His life got a new direction through inspiration from a teacher. Therefore, now he wants to grow up and become a teacher himself so that he can influence other people of society and help them have a bright future. As his mother passed away, his father got married again. Sajnu did not quite like this. He was upset with the stepmother's misbehavior towards him. She used to unnecessarily keep taunting him. Because of this, he even lost his interest in studying. Meanwhile his aunt got a whiff of the adverse situation. She made up her mind about taking Sajnu to her home and also give him education. One day she brought him and admitted him to the village school. The teachers of the school were impressed by Sajnu's interest in studies. One teacher Motiram Patil told him about the government run hostel. He informed him that a hostel is being operated in Kawardha, where he can learn while staying there. Teacher Patil discussed this with Sajnu’s aunt. He tried to convince her by telling how promising a student Sajnu is. He emphasised that Sajnu must get good education. Patil talked about the finances and the cost of studies and said that staying in the hostel will help Sajnu move forward with other children. The government will bear its expenditure. This will enhance Sajnu’s future prospects. He will also be able to help his family in the future. After listening to what Patil had to say, Sajnu’s aunt was convinced and she got him admitted in the hostel set up for the Baiga tribe. Now he is studying hard. Once in every week, his family comes to meet him. The government has come up with several schemes for the upliftment of the Baiga tribe in the region. Educational facility is one of them. The Government is doing a better job of connecting the Baiga tribals with the mainstream of society by educating its children. The hostel, along with the education of the children of the Baiga tribe, also takes care of their food and beverages. The children studying here are planning for their future already. They want to finish their studies and also teach their brothers and sisters later on. Certainly, Baiga tribals will benefit from this in the near future. Thousands of families of the Baiga tribe are settled in Bodla and Pandaria blocks of Kawardha district. Now that they have begun their education, there is an evident change that links the villages to the city. The Chhattisgarh government has been promoting education for the development of this protected tribe.